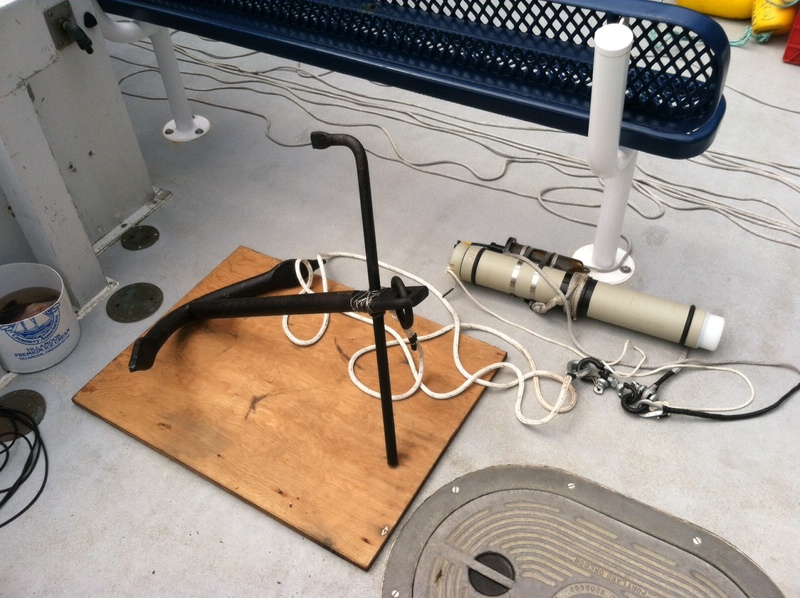 Last Thursday marked our labs first successful DMON (Digital Acoustic Monitor) deployment of the spring! The DMON is a passive acoustic instrument that is capable of recording and processing audio in real-time. 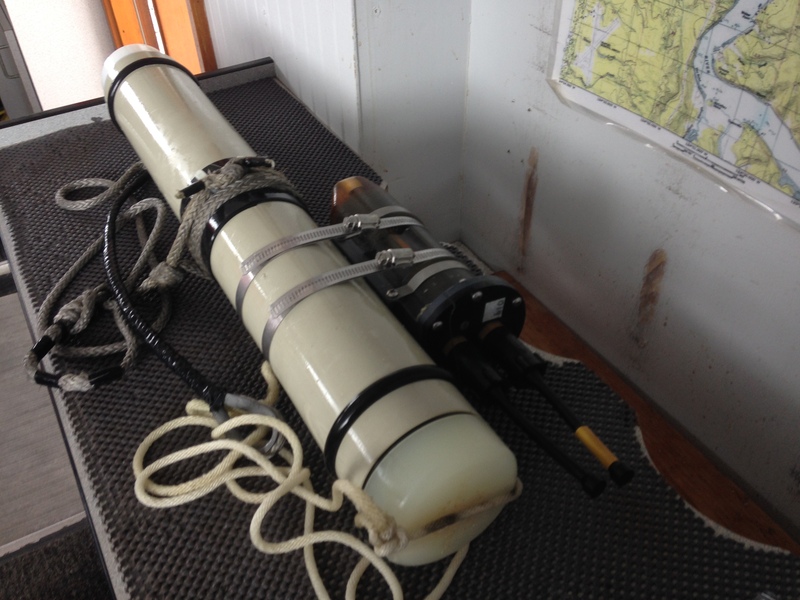 Friday, May 16th, a single DMON was deployed off the coast of central Oregon to target the acoustic signatures and monitor the occurrence of several high frequency odontocetes (specifically porpoise and dolphin), for frequencies up to 150Khz. Although abundant in the coastal environment of the central Oregon coast, because of their skittish nature, little is known on the behavior of harbor porpoise. Passive acoustic monitoring is an ideal method for collecting information on their presence and vocalization behavior with little habitat disturbance. In light of the planned development for wave energy converter (WEC) testing at the south energy test site (SETS) as part of the Northwest National Marine Renewable Energy Center’s (NMREC) grid connected full scale facility off South Beach, OR, this project is focused on gathering baseline data on high frequency odontocetes using the area. With this information we plan to assess the impact of WEC testing activities as the SETS facility is brought on line. Pretty Cool Stuff! Fortunately, I will be deploying and analyzing data all summer alongside with Joe Haxel, who is a Research Associate for the Cooperative Institute for Marine Resources Studies at Oregon State University and the NOAA /Pacific Marine Environmental Laboratory Acoustics Program. While a full-depth analysis of last week’s data hasn’t yet been accomplished, I was able to take a quick peek and MAN IT LOOKS GOOD! 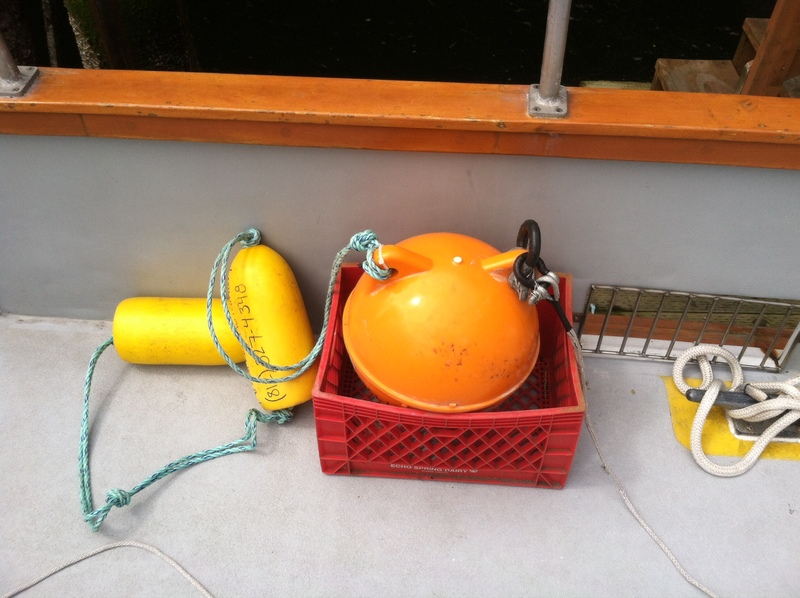 Both harbor porpoise and killer whale vocalizations were identified – sound bites and spectrograms will be coming soon! Finally, All of this wouldn’t be accomplished without our friendly Newport neighbors, Marine Discovery Tours, who offer narrated ocean and bay cruises with naturalist guides and have the finest accommodations for viewing whales and other sea life. Memory storage capacity on the high frequency DMON mooring is limited by the high sample rate (~480 Khz) and we therefore record on a 10% duty cycle which simply means “deploy, leave for 7 days, recover, charge, and redeploy” schedule. Without the help of Marine Discovery Tours, we would not be able to deploy and recover so frequently! So if you plan on taking a trip or a visit to the Oregon Coast, you might want check out what trips are available to see our beloved Oregon marine life, and you never know, if you’re lucky you might just book the trip with all the DMON action and see it first hand! I’ll be back with a full update on what the ORCAA lab has discovered from our DMONS in August! In the meantime, make sure you follow ORCAALab on Twitter for updates!